Self-service car wash in Sherrill, New York. Conveniently located near the southeast corner of Route 5 and Betsinger Rd. Offering "touch-free" equipment-a totally open wash bay with high velocity washing system. NEW LOCATION! 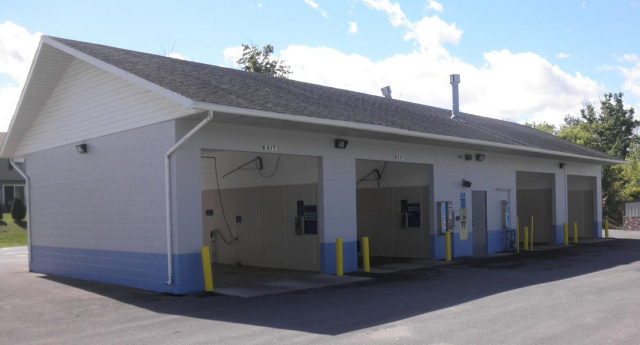 Self-service car wash in Oneida, New York. Conveniently located in the Walmart Shopping Center. Offering "touch-free" equipment-a totally open wash bay with high velocity washing system. On the corner of 365A and Wilson St.
Also features a Dog Wash!